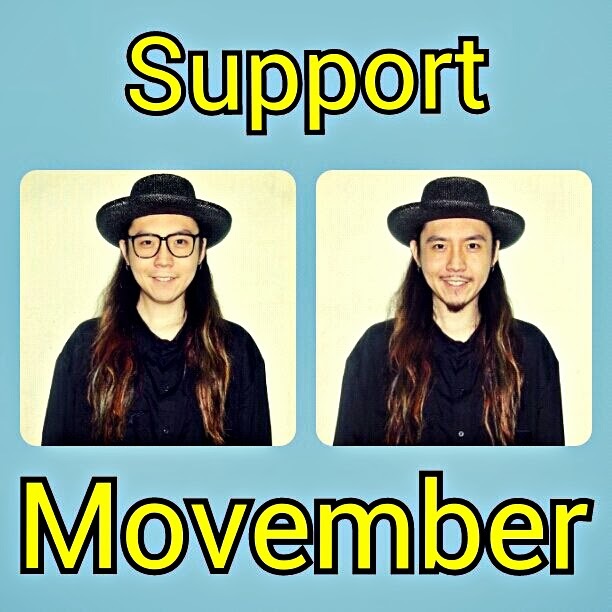 I N D I V I D U A L I T Y: Support Movember, time to shave and grow a new mustache! Support Movember, time to shave and grow a new mustache! It's November 1st morning here in Hong Kong. Time to shave off my goatee and grow a brand new mustache to support Movember! Go to hk.movember.com to register and donate money to bring the awareness for men to go get check up for prostate cancer and testicular cancer! Besides going to the gym or watching what you eat, going to get body check up is also very important! Don't be shy and let's discuss this kind of issues with our family and friends! I had to put a pair of glasses on haha because it's been 7 years since the last time I fully got clean shaven! I feel so naked haha!